Two of the hottest acts in Americana music release new albums this Friday, April 5. 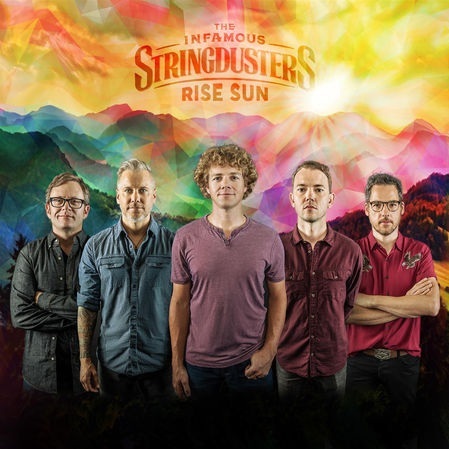 The Infamous Stringdusters will release “Rise Sun”, in which Sarah co-wrote the title track with Travis Book and “Planets” with Travis Book and Chris Pandolfi. Guitar goddess Molly Tuttle releases full-length album “When You’re Ready” on Compass Records. She and Sarah wrote “Take The Journey” and “The High Road”. Sarah embarks on her most vulnerable and auto-biographical album to date with “Modern Appalachia.” Joining her are Justin Vernon (Bon Iver) and Bill Frisell, as well as a hand-picked band of her favorite players. respected and covered songwriters as well as a stand-out independent artist, who Spin Magazine calls “an artist you must hear now”. Armed with a striking vocal style and solid guitar and piano work, Sarah is a regular NPR performer with features on NPR’s Tiny Desk Concerts, World Cafe with David Dye, All Songs Considered, Song Of The Day and most recently NPR’s Mountain Stage. She has toured with Bonnie Raitt, Paul Brady, Grammy winner Bon Iver (who also famously covered her “Lovin’s For Fools”) and The Swell Season and had songs recorded by Alison Krauss (the GRAMMY nominated “Simple Love”), Randy Travis, Madi Diaz and many more. “Sarah Siskind is one of very few songwriters that is a true student of American music.